Use this comprehensive research report to know more about what organizations of all shapes and sizes are doing with their GRC Capabilities. Every organization does GRC whether they use the acronym or not. All have some approach to governing the organization, managing risk, and addressing compliance. It could be scattered in silos and disconnected, or it could be highly collaborated and integrated. Organizations should not be asking if they should do GRC but are to ask how mature their organization’s approach to GRC is and how it can be improved. You can get the complete data set for this research here. Other organizations have mature and structured processes and reporting on GRC that brings together an integrated and orchestrated view of GRC processes and information. Examine the benefits of an integrated GRC capability and the negative effects of siloed operations. 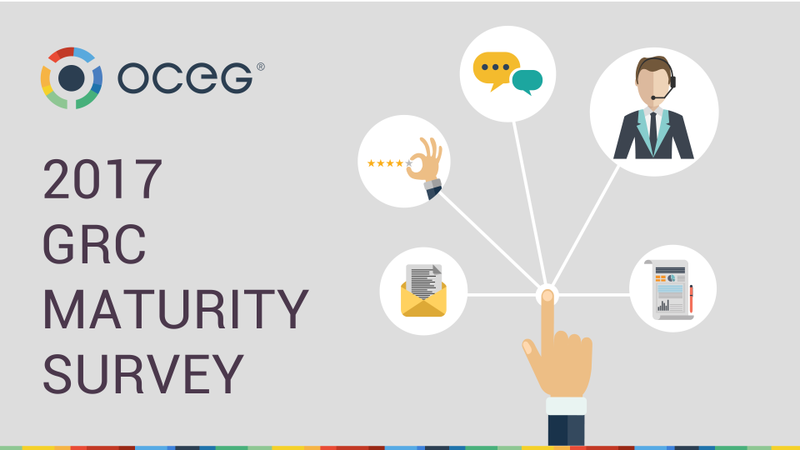 We have emailed instructions to access GRC Maturity Survey 2017 to . Make sure the email arrives in your inbox: either add "support@oceg.org" as a safe sender to your email platform, or if you use Gmail, drag our email into your Primary tab.